I am so very fortunate to be a mother to three wonderful young children but sadly it’s a title that I know not all women are able to hold. I am lucky, honoured and proud to be such an influencing role model on my children as they enter a challenging and changing world. We are all brought into this world by a mother and know the lengths they go through to provide us with the best opportunities in life. Mothers are the real superwomen in our world and their job is sometimes so constant, hectic, demanding and busy that we get caught up in the routine and forget how important we are in the lives of our children. I don’t think it was until I become a mother myself that I truly did appreciate all the sacrifices my mother made for me and my siblings early on and throughout my life. It’s a very tough gig – but we wouldn’t have it any other way? There’s all types of Mothers – and so there should be, after all we are all individuals and have different likes and interests. I belong to a group of mothers who love to run and we are kind of a breed of our own! 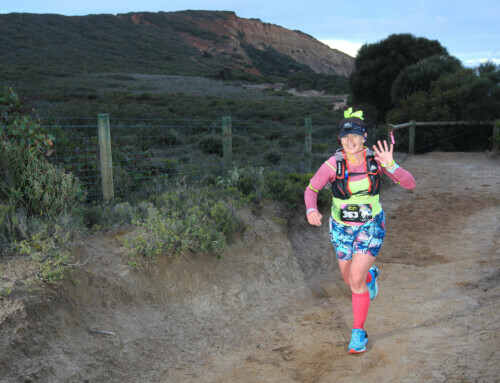 Running allows us to escape the daily demands and chores, gives us time for sanity, thinking space and overall – I believe, I am a better mother because I run. 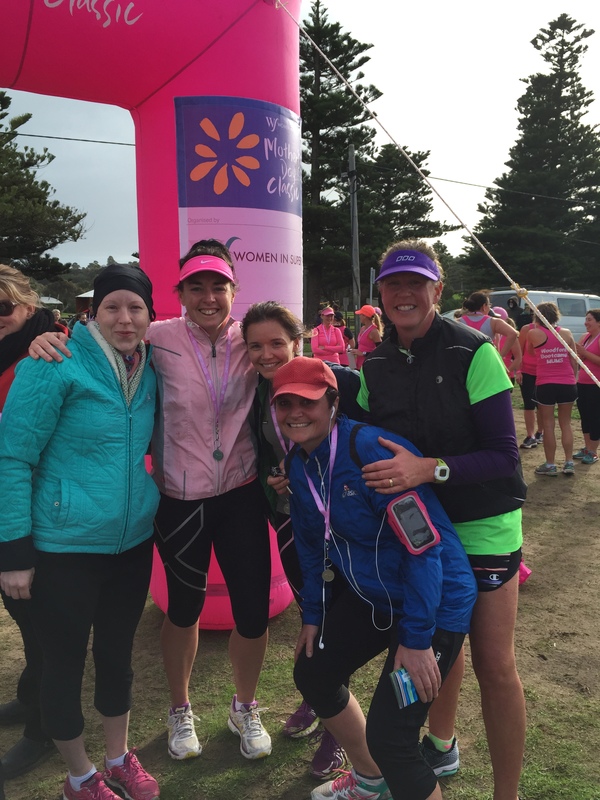 So it only seemed natural that on Mothers Day – I participate in The Mothers Day Classic Fun Run in the South West Victorian coastal town, my home town, Warrnambool. I completed this run last year and loved the values that it stood for. I loved that the majority of the (cheap) entry fees was donated back to research for Breast Cancer. I loved that in my regional town, there was a casual feel to the run – no race bibs, no official timing, no pressure. 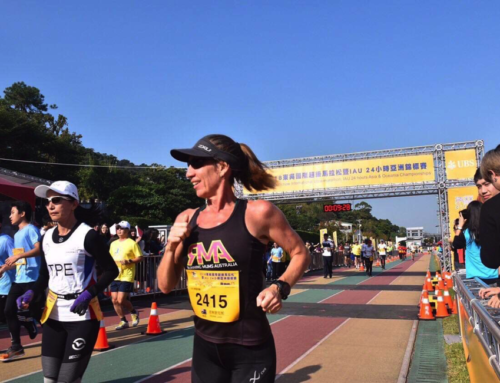 I loved that I was there with so many other mothers dressed in pink who, instead of having breakfast waited on them in bed, were out doing what they loved – running. But what struck me most about this event was the support I was showing to my two young energetic, fit mum friends who had been struck with a breast cancer diagnosis in the past 6 months. 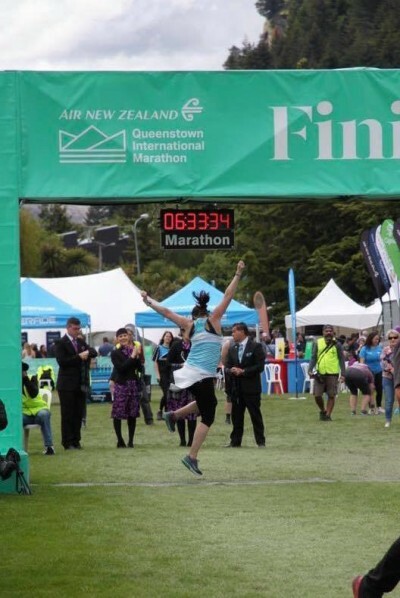 They were both participating – Tania in the 4km walk and Julie in the 8km run displaying their determination, strength, fight and belief that there is hope, not only for them, but for the many thousand of women who will be struck with this horrible disease. This event tied in nicely with training for my first marathon to be held on the Gold Coast in 7 weeks time. I had a long run scheduled and knew if I could run 20kms prior to the Mothers Day Classic, I could add 8km and draw on the inspiration of the cancer survivor’s on the course to not only clock up my longest run to date but to finish. I sat in my car at 6.25am in the dark with torrential rain pounding on the windscreen and howling winds. I seriously contemplated driving back home to bed for 2 hours and returning just before the start of the race. 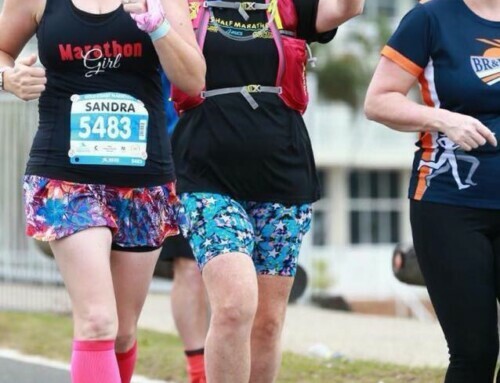 It was only 5 degrees and whilst procrastinating on my phone, a quote appeared in my news feed from my running friend Carol who was competing in the Geelong Mothers Day Classic. It read “If you wait for perfect conditions you’ll never get anything done.” With that in mind, I got out in the rain, started my Garmin and set off. Thankfully a friend, Anna-Jane, met me after my first 9kms and we ran an additional 10kms together discussing life’s day-to-day dramas and conundrums. Time passed by quickly (as it always seems to do when you run with great company) and upon our return to the registration area for the Mothers Day run there was a sea of people decked out in pink getting ready for the start of the event. The cruisy nature of the event meant we could register on the day and a pink armband was placed on our wrist. The formalities began with the energetic aerobics warm up followed by the directions of the course route. It was at this time I found my breast cancer surviving friend Julie and together we stood for a minutes silence paying our respect for those currently braving the fight and those who we have lost in their fight with breast cancer. I could see tears in Julie’s eyes at this point and knew that this would be an emotional run for both of us. What pulled on the heartstrings even more so was the introduction of the 2015 ambassadors for the run – a father and his beautiful, young 3 children. The brave father spoke of his loving wife who had lost the battle three years ago to breast cancer. He passed the microphone over to his eldest daughter who read the most beautiful poem about her mother watching down on her family from heaven. I’m not sure there was a dry eye amongst the 500+ competitors. It was such a beautiful moment and the realization that tragedy can strike any of us and any time. 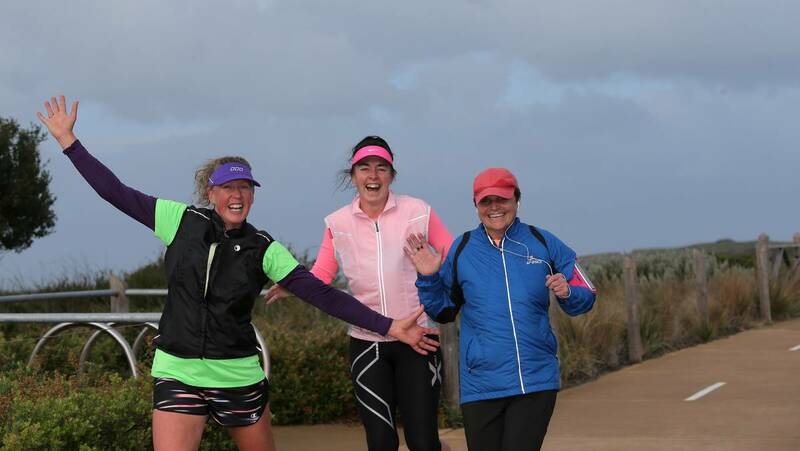 The 8km race began and we headed off into a strong head wind along Warrnambool’s beautiful promenade beach path. It was the first race in 3 years that I didn’t care about my time and restarted the garmin and headed off at a slow pace. At the 4km mark we started crossing paths with the 4km runners and this was a fun opportunity not only to see who else was on the course but to high five other runners. I passed my friend Julie around this point of the run and she was putting up an amazing effort. She was so determined to finish and I kept going telling her I would be waiting for her at the finish line. Before long the end was in sight and I crossed the line – 28kms in total and my longest run to date. I felt great and knew that I couldn’t let Julie finish the race on her own so I headed back out on the course to find her and run to the finish line with her. She was about 1km back and together we ran the final stretch. 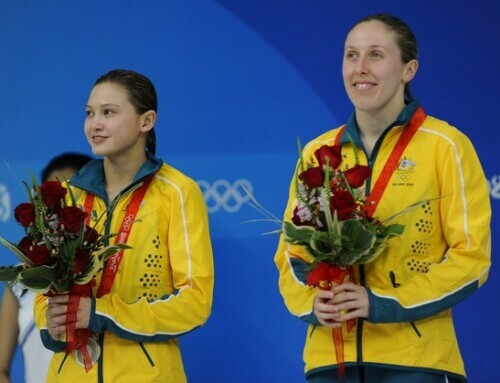 It was a great moment to see her finish – and more tears of our success. I found my other cancer warrior friend Tania after her 4km walk. It was so great to see her surrounded by so many friends and family supporting her through what has been and will continue to be a tough time for her. The 2015 Mothers Day Classic drew on so many emotions. Determination to finish not only the run but determined to fight such a horrible disease. Courage to get to the start line but courage to start and get through the chemo treatment. Willpower to keep running and willpower to keep up the fight. Positivity to know you can do it when the odds may seem against you. The statistics seem alarming – with 1 in every 8 women being diagnosed with breast cancer. Supporting events like this not only raise awareness but also help raise essential funds to help find a cure to minimize the statistics and help eradicate this horrible disease. In concluding, after running my 30kms on Mothers Day I feel confident 7 weeks out from my first marathon. I will most certainly draw on this event if times get challenging on the Gold Coast and know that others are doing it so much tougher than me. It was great to arrive home to my beautiful family who showered me with priceless homemade craft items that melt your heart. I am thankful that I am one of the lucky ones, to be a healthy mum to three amazing kids and am living and loving life. My Running buddy (L) Natalie, me in the pink and (r) Breast Cancer survivor Julie. Cancer warrior on Left – Tania, me in pink and in front in Blue cancer warrior Julie.